In 2014 Casa Cuervo, the family-owned company that has a long history of making tequila, bought the Bushmills brand from Diageo. The completion finalised the most important purchase made by Cuervo in its history and Bushmills Irish Whiskey is now one of the biggest brands in its portfolio. Produced in Old Bushmills Distillery, Northern Ireland, Bushmills Red Bush (40% abv) was launched in the US in March 2017 in both the on and off-trades in time for St Patrick’s Day. Further global markets will follow. Bushmills Red Bush is matured in American bourbon casks and is hoped to appeal to those new to Irish whiskey, particularly bourbon drinkers. The mellower taste of Bushmills Original is said to be achieved with whiskeys matured in both bourbon and sherry casks, whereas Bushmills Black Bush is matured in sherry butts with a high proportion of Bushmills single malt. Bushmills Red Bush is a blend of triple-distilled single malt and Irish grain whiskey with a “delicate, smooth and balanced flavour”. It is seen as a way to introduce the range to the new generation of whiskey drinkers. Metaxa is the blend of aged distillates and Muscat wines from Samos in Greece. The 2017 release celebrates 25 years since the first Private Reserve was unveiled. 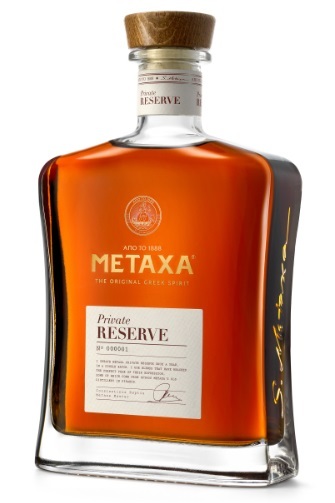 Private Reserve is created by Metaxa master Constantinos Raptis once a year, in a single batch.